This is our very last chance to save these incredible creatures. We must act boldly now. I was honored to join Lummi Nation leaders last week testing their ability to feed the starving young orca J50. As we arrived west of San Juan Island, however, we heard the calf had headed into the Strait of Juan de Fuca only hours before. Undeterred, the Lummi vowed to try again. With state Fish & Wildlife and federal officials on hand to help, this week they succeeded in getting eight large chinook directly in front of J50. Some argue that this sort of intervention is “extreme” and unprecedented. I argue we should all follow the Lummi’s lead — boldly thinking outside the box and taking action without politics or delay. And we know this sort of intervention can work when a population is so severely threatened, like the mountain gorilla of Central Africa, where “extreme” interventions are now actually credited with recovering that population. For decades we have talked about taking drastic steps to save the southern resident killer whales. It is past time that we act. Sitting by and witnessing extinction is not an option. On the boat last week was my 10-year-old daughter. We had an emotional discussion about the real chance of extinction for these amazing creatures and how while providing food for one is an incredible intervention, so much more obviously must be done. Now, the Southern Resident Killer Whale Task Force is developing recommendations that will come back to the governor and Legislature later this year. While I am deeply saddened that we have not yet taken the needed steps to save these whales, I am truly hopeful because this time feels different. More people are engaged, more politicians are listening and thousands of us were deeply moved by the daily sight of a mother orca mourning her dead calf. We all realize that this time must be different. We all realize that this is our last chance. It is their last chance. We must strengthen our efforts to increase wild salmon recovery through habitat restoration and shoreline protection, including stronger enforcement and penalties for violations. The state must prioritize significant funding to enhance salmon habitat and hatchery production to boost salmon populations. And, while controversial, we must consider breaching the lower Snake River Dams — the fastest way for us to return millions more salmon to our waters. While past studies could not conclude that this step alone would guarantee orca recovery, a recent report gives reason to question opponents’ long-running argument that we cannot have fish restoration and reliable power. The point is, every option that may make a difference needs to be on the table so we can consider the data and investigate the potential costs and benefits. We must establish whale sanctuaries that will decrease noise pollution that significantly impacts the whales’ ability to communicate and feed, with the size and location of each based on the best available science. These zones will provide a place for the whales to forage, feed and interact without hindrance by vessels. Additionally, we must strengthen distance barriers from all vessels mandating that they go slow in the presence of orcas and never approach within 400 yards in front of them. We must hasten cleanup of contaminated properties and ensure sufficient stormwater management and cleanup of urban bays and shorelines through an overhaul of our Model Toxics Control Act to reduce toxins entering the Salish Sea. Finally, we must ensure protection from their greatest threat, a major oil spill that could wipe out an entire pod as we saw in Alaska after the Exxon Valdez spill. Washington state’s oil-spills program was once the best in the nation, but it has become woefully inadequate due to dramatic changes in the type of oil and shipping methods. An expected increase in regular transportation of oil amplifies the risk of a catastrophic spill. We must significantly strengthen measures to reduce that risk, including stationing a rescue tug in the North Sound, requiring tug escorts for oil barges and permanently blocking all offshore oil and gas development. 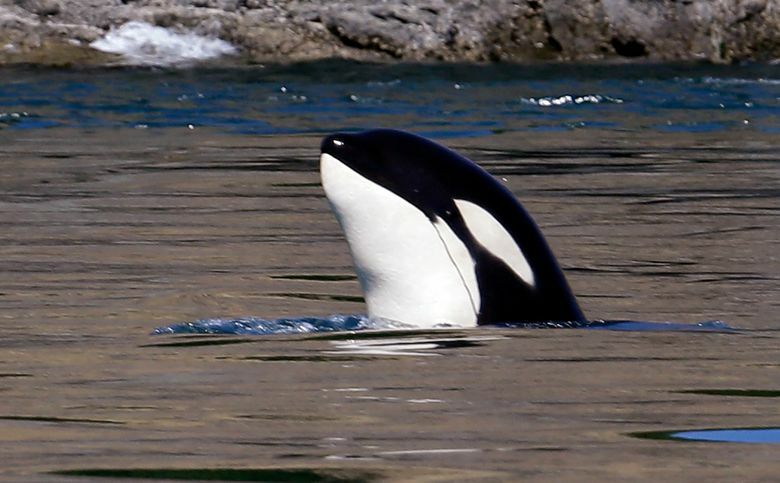 Watching Tahlequah’s display of grief and seeing another baby orca facing starvation are gruesome reminders of the dangerous predicament these magnificent creatures face. The sorrow we all feel is deep, but we must forge this into action. It will take political courage and significant resources to save these creatures, but our values compel us to do whatever is necessary. We must put politics aside and, frankly, put compromise aside. We must act boldly, now. Kevin Ranker was first elected to the Washington state Senate in 2008 and represents northern Puget Sound, including San Juan County and portions of Whatcom and Skagit counties. He lives on Orcas Island.